Items where Author or Contributor is "Aunger, R"
Aunger, R; Curtis, V; (2014) Unintentional behaviour change. The Behavioral and brain sciences, 37 (4). p. 418. ISSN 0140-525X DOI: https://doi.org/10.1017/S0140525X13003117 Full text not available from this repository. Aunger, R; Curtis, V; (2013) The Evo-Eco approach to behaviour change. In: Lawson, D; Gibson, M, (eds.) Applied Evolutionary Anthropology. Springer, Berlin. ISBN 978-1-4939-0280-4 DOI: https://doi.org/10.1007/978-1-4939-0280-4_12 Item availability may be restricted. Judah, G; Gardner, B; Aunger, R; (2013) Forming a flossing habit: An exploratory study of the psychological determinants of habit formation. British journal of health psychology, 18 (2). pp. 338-53. ISSN 1359-107X DOI: https://doi.org/10.1111/j.2044-8287.2012.02086.x Full text not available from this repository. Krentel, A; Aunger, R; (2012) Causal chain mapping: a novel method to analyse treatment compliance decisions relating to lymphatic filariasis elimination in Alor, Indonesia. Health policy and planning, 27 (5). pp. 384-95. ISSN 0268-1080 DOI: https://doi.org/10.1093/heapol/czr048 Full text not available from this repository. Curtis, V; Aunger, R; (2011) Motivational mismatch: evolved motives as the source of - and solution to - global public health problems. In: Roberts, C, (ed.) 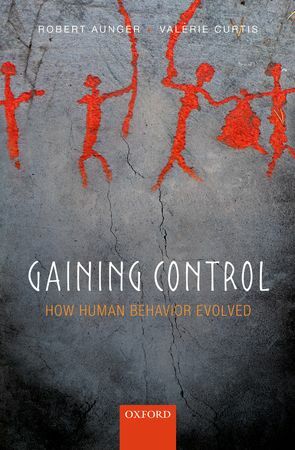 Applied Evolutionary Psychology. Oxford University Press. DOI: https://doi.org/10.1093/acprof:oso/9780199586073.003.0016 Full text not available from this repository. Aunger, R; (2010) Types of technology. Technological forecasting and social change, 77 (5). pp. 762-782. ISSN 0040-1625 DOI: https://doi.org/10.1016/j.techfore.2010.01.008 Full text not available from this repository. Aunger, R; Schmidt, WP; Ranpura, A; Coombes, Y; Maina, PM; Matiko, CN; Curtis, V; (2009) Three kinds of psychological determinants for hand-washing behaviour in Kenya. Social science & medicine (1982), 70 (3). pp. 383-91. ISSN 0277-9536 DOI: https://doi.org/10.1016/j.socscimed.2009.10.038 Full text not available from this repository. Judah, G; Aunger, R; Schmidt, WP; Michie, S; Granger, S; Curtis, V; (2009) Experimental pretesting of hand-washing interventions in a natural setting. American journal of public health, 99 Sup. S405-11. ISSN 0090-0036 DOI: https://doi.org/10.2105/AJPH.2009.164160 Full text not available from this repository. Schmidt, WP; Aunger, R; Coombes, Y; Maina, PM; Matiko, CN; Biran, A; Curtis, V; (2009) Determinants of handwashing practices in Kenya: the role of media exposure, poverty and infrastructure. Tropical medicine & international health, 14 (12). pp. 1534-41. ISSN 1360-2276 DOI: https://doi.org/10.1111/j.1365-3156.2009.02404.x Full text not available from this repository. Aunger, R; (2007) Major transitions in 'big' history. Technological forecasting and social change, 74 (8). pp. 1137-1163. ISSN 0040-1625 DOI: https://doi.org/10.1016/j.techfore.2007.01.006 Full text not available from this repository. Aunger, R; (2007) A rigorous periodization of 'big' history. Technological forecasting and social change, 74 (8). pp. 1164-1178. ISSN 0040-1625 DOI: https://doi.org/10.1016/j.techfore.2007.01.007 Full text not available from this repository. Aunger, R; (2007) Tooth brushing as routine behaviour. International dental journal, 57 (5). pp. 364-376. ISSN 0020-6539 http://researchonline.lshtm.ac.uk/id/eprint/8547 Full text not available from this repository. Rubio-Godoy, M; Aunger, R; Curtis, V; (2007) Serotonin - A link between disgust and immunity? Medical hypotheses, 68 (1). pp. 61-6. ISSN 0306-9877 DOI: https://doi.org/10.1016/j.mehy.2006.06.036 Full text not available from this repository. Aunger, R; (2006) Culture evolves only if there is cultural inheritance. The Behavioral and brain sciences, 29 (4). pp. 347-348. ISSN 0140-525X DOI: https://doi.org/10.1017/S0140525X0622908X Full text not available from this repository. Cordaux, R; Aunger, R; Bentley, G; Nasidze, I; Sirajuddin, SM; Stoneking, M; (2004) Independent origins of Indian caste and tribal paternal lineages. Current biology, 14 (3). pp. 231-235. ISSN 0960-9822 DOI: https://doi.org/10.1016/j.cub.2004.01.024 Full text not available from this repository. Cordaux, R; Bentley, G; Aunger, R; Sirajuddin, SM; Stoneking, M; (2004) Y-STR haplotypes from eight South Indian groups based on five loci. Journal of forensic sciences, 49 (4). p. 847. ISSN 0022-1198 DOI: https://doi.org/10.1520/JFS2003350 Full text not available from this repository. Curtis, V; Aunger, R; Rabie, T; (2004) Evidence that disgust evolved to protect from risk of disease. Proceedings Biological sciences / The Royal Society, 271 Su. S131-3. ISSN 0962-8452 DOI: https://doi.org/10.1098/rsbl.2003.0144 Full text not available from this repository. Aunger, R; (2003) Reflexive Ethnographic Science. AltaMira Press. http://researchonline.lshtm.ac.uk/id/eprint/15426 Full text not available from this repository. Aunger, R; (2003) Cultural transmission and diffusion. In: Nadel, L, (ed.) Encyclopedia of Cognitive Science. MacMillan, London. http://researchonline.lshtm.ac.uk/id/eprint/15427 Full text not available from this repository. Aunger, R; (2002) Exposure versus susceptibility in the epidemiology of 'everyday' beliefs. Journal of Cognition and Culture, 2 (2). pp. 113-154. http://researchonline.lshtm.ac.uk/id/eprint/15424 Full text not available from this repository. Aunger, R; (2002) The Electric Meme: A New Theory of How We Think. Free Press (Simon and Schuster). http://researchonline.lshtm.ac.uk/id/eprint/15425 Full text not available from this repository. This list was generated on Thu Apr 25 03:59:19 2019 BST.